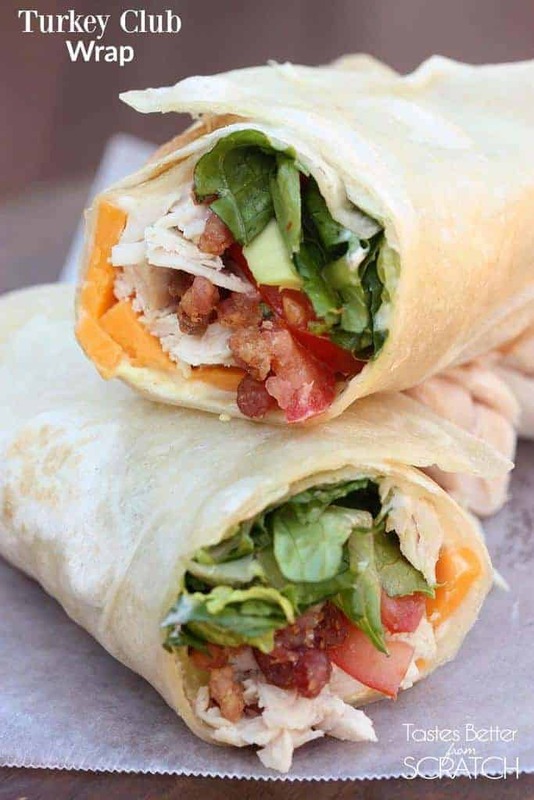 Turkey Club Wrap is a 15-minute meal made with a tortilla filled with turkey (or rotisserie chicken), bacon, lettuce, tomato, cheese and avocado. 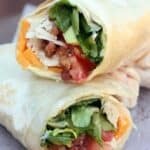 If I’m ever struggling to come up with a quick lunch for my kids, or an easy dinner idea for my family, wraps are always the first to pop in my head! You can make tons of different variations, depending on what you’ve got in your fridge. And if you don’t have tortillas you could make them into lettuce wraps! These wraps are perfect for using that leftover thanksgiving turkey, or you can even substitute leftover rotisserie chicken. They’re delicious, easy to make and filling! Spread a layer of mayonnaise and mustard over each tortilla. 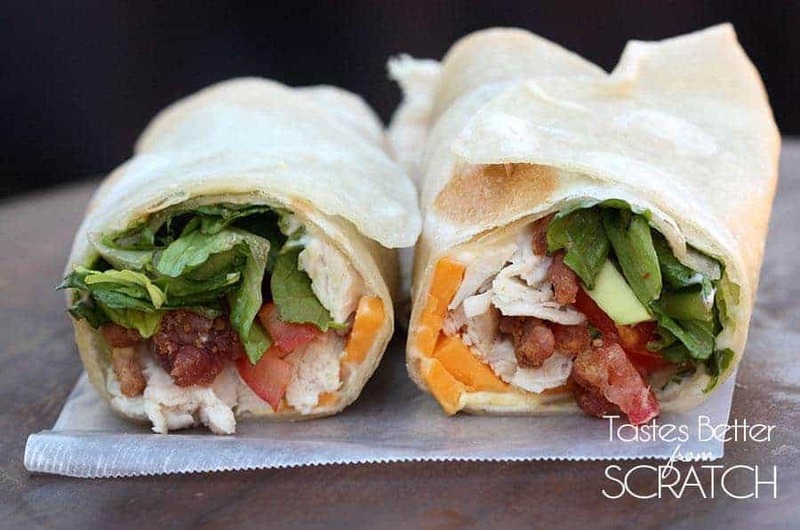 Top each with 2 slices of your favorite cheese and cooked bacon and a handful of turkey, lettuce, tomato and avocado. Roll and fold each tortilla, burrito style. Cut in half and serve. YUMMY! These were a big hit!